Meijer 4 day sale starting 9/4! Share this post so you can make your list later! Let me know if I have missed something! There is a 4 day sale starting this Friday 9/4-Monday 9/7!! I will keep working on coupon match up's, so keep checking back! 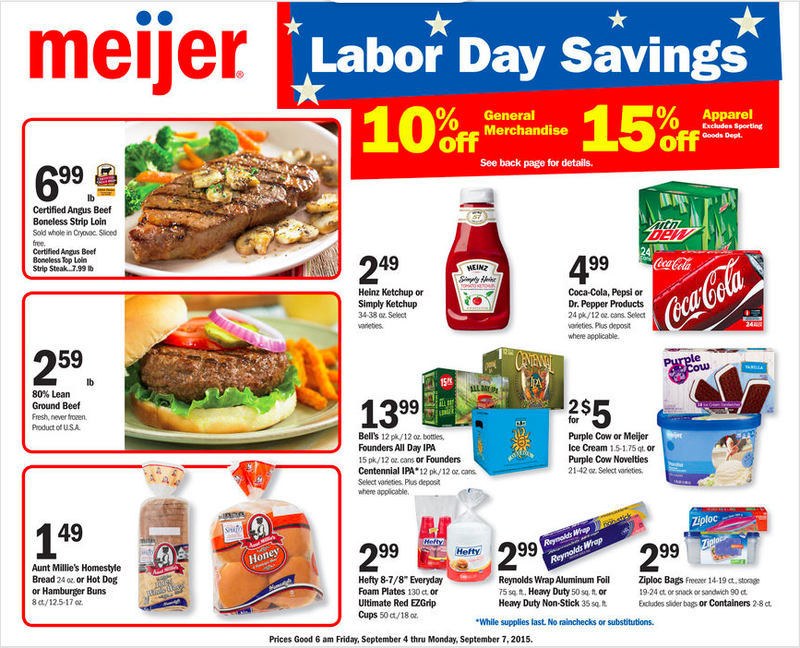 You can see the full ad here >>>Meijer 2 day ad<<< Just don't forget to change it to your local store! APPAREL plus 15% mPerks coupon!